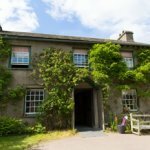 It is no surprise that the Lake District is home to plenty of great museums and art galleries what with all of the famous writers, poets, and artists who have ambled through the idyllic area. As a result, many of the exhibitions celebrate the lives and works of the Lake District’s most famous residents, such as Beatrix Potter & William Wordsworth. In addition, you’ll find specialist museums, displaying everything from vintage vehicles to local artifacts to mining history to a miniature village, and plenty of other fun and educational entertainment great for the entire family. 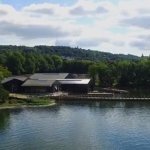 The Windermere Jetty Museum of Boats, Steam & Stories is exactly what it says on the tin. Learn all about George Pattinson, local boat enthusiast, and how the museum the formed. The museum also has a cafe with fabulous views of the lake with an outdoor terrace for the sunnier, warmer months. 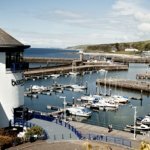 With plenty to see and do, the Beacon Museum in Whitehaven is a fabulous rainy day destination. Visitors to the museum can explore the history of West Cumbria, from the early Roman settlers to industrial revolution, as well as learn more about the nuclear industry that dominates the West Cumbrian economy. The museum has lots of hands-on displays that will entertain children and there is a restaurant on the ground floor. Even if you are not a huge fan of Laurel & Hardy, the Laurel & Hardy museum in Ulverston still offers an intriguing way of passing an hour or two. 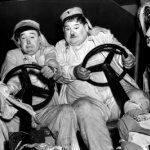 Thought to be the largest collection of Laurel & Hardy memorabilia, the museum has plenty of items to browse, including the bed that Stan Laurel was allegedly born on in a house a few streets away. The duo’s films are screened here throughout the day. 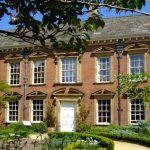 Located in the centre of Carlisle the Tullie House Museum & Art Gallery is home to one of the largest collections of artwork and historical artefacts in the country. It is here that you can view items dating from the Roman period, including those that were found in the former Carlisle fort of Stanwix, part of Hadrian’s Wall. The museum has extensive collections of paintings and decorative items, and is home to a café. 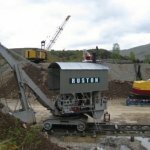 A brilliant day out for children and adults alike who love anything to do with big machines and spooky tunnels can be had at the Threlkeld Quarry and Mining Museum. Run entirely by volunteers, the museum features informative displays about local geology, a collection of classic quarrying equipment such as excavators, a narrow gauge railway ride with splendid views, and an underground mine tour. Perfect for children this magical attraction draws you into the tales of Beatrix Potter. Peer into Mrs Tiggy-Winkle’s kitchen, spot Squirrel Nutkin in his tree, and find the radishes in the garden that Peter Rabbit so desired. 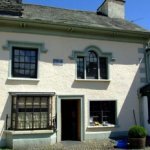 Located in Bowness-On-Windermere the attraction also features displays about the life of Beatrix Potter, a delightful tea room, and a shop where you can purchase your very own Peter Rabbit toy. 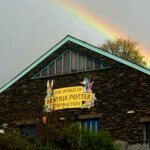 A quirky museum that offer parents a much needed distraction for children on a rainy day, The Pencil Museum in Keswick is surprisingly popular given its content, attracting over 80,000 visitors a year. 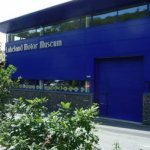 Located on the former site of the Derwent Pencil factory, the museum features the world’s biggest colouring pencil, a history of pencil production in the area, and plenty of colouring activities for children. Kendal’s award-winning Museum of Lakeland Life and Industry gives you the opportunity to explore life in Cumbria in the 18th and 19th centuries. The museum celebrates the traditions and industry that arose in an area geographically isolated from the rest of Georgian and Victorian society. Peek inside a Victorian toyshop or pharmacy, or visit the interior of a typical house from the period. A delightful and informative place in the centre of Kendal. Having undergone a two-year refurbishment, the Keswick Museum and Art Gallery reopened in 2014. It is home to an unusual collection of artefacts that include a set of musical stones that were once used to entertain Queen Victoria and the remains of a 700-year-old cat. After you have toured through the museum, you can take a stroll through Fitz Park in which the museum is located that where you will find a fantastic adventure playground. 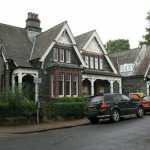 Set in a quaint seventeenth century building that was once the law offices of William Heelis, Beatrix Potter’s husband, the Beatrix Potter Gallery is an ideal place to visit in combination with Hill Top, the author’s former home. Located within Hawkshead, the gallery features a collection of Beatrix Potter’s artwork and other keepsakes with interactive displays and audio commentary available. 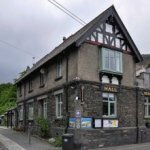 The Armitt Museum and Library is a treasure trove of local artefacts with regularly changing exhibitions, featuring notable figures with connections to the Lake District, such as author and landowner, Beatrix Potter, and German artist, Kurt Schwitters. 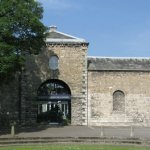 It should be noted that this is not a museum that will particularly please younger children, as it explores complex themes and ideas, but it is another intriguing way that you can pass a few hours in poorer weather. What started as a simple comment by a young boy to his teacher became a collaboration of 4,000 people from 15 countries to create a 77 panel tapestry that has been compared to the Bayeux Tapestry. 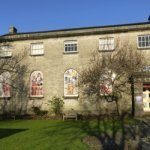 Today, over 40 panels can be found at the Quaker Tapestry Museum in Kendal alongside other exhibits that explore the history of the Quakers and their influence on the modern world. Allow at least one hour for a visit and there’s plenty to keep all ages busy. 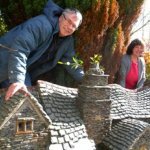 A labour of love from one retired builder, the Lakeland Miniature Village is a charming way to spend an hour in the south lakes peninsulas. Housed in Edward Robinson’s own garden, the village has become a popular visitor attraction and features recreations of famous Lakeland buildings in miniature scale, all created from memory by Robinson himself. 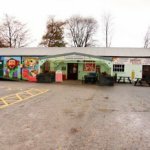 With over 30,000 motoring related exhibits the Lakeland Motor Museum is one for fans of classic cars, motorcycles and scooters. Learn about the history of motoring, visit a recreation of a 1920s garage, and admire the efforts of father and son Sir Malcolm and Donald Campbell who were renowned for breaking 21 world records in land and water speed. After your visit you can take the Lakeside and Haverthwaite Steam Railway back up to Lake Windermere and hop onto one of the cruise ferries. 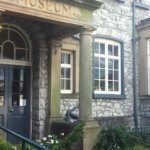 Brimming with curios, historic artefacts, and informative displays, Kendal Museum may not have the size and status of the Natural History Museum in London, but it certainly manages to engage and enthral. Learn more about the history and geology of the British Isles with collections that cover everything from prehistoric to modern times. There are activity packs for children available, and regularly changing exhibitions. 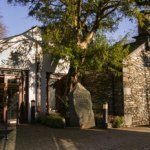 Brimming with curious artefacts and intriguing items from the worlds of geology, history, art, and engineering, the John Ruskin Museum is a fascinating ode to the work of the Lake District’s best known philosopher and critic. Learn more about the how the spectacular landscapes of the Lake District were formed, the history of Coniston and the wider area, and the influences that Ruskin has had on modern life. The last working slate mine in England combines thrilling rock face adventures with fascinating tours into deep underground tunnels. 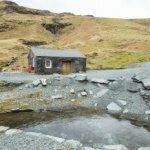 Honister Slate Mine sits high in the Borrowdale Fells and offers visitors a chance to learn more about mining history, as well as reach new heights with its extraordinary Via Ferrata climbing system. You can purchase products made from the distinctive green Honister slate, or simply enjoy a snack at the Sky Hi Café. The setting for “The Tale of Tom Kitten”, and “The Tale of Jemima Puddle-Duck” amongst others, Hill Top was Beatrix Potter’s beloved Lake District retreat from 1905 until 1913, but she retained the property until her death in 1943. Bequeathed to National Trust in Mrs Potter’s will, the house has been preserved in its original state, and visitors can take a tour through the property and learn more about the woman whose quaint tales have delighted several generations of children. 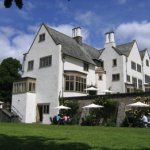 A grammar school from 1585 until 1909, today Hawkshead Grammar School is an intriguing museum that will inform you about the lives of the wealthy pupils who attended it. Notable past pupils include William Wordsworth, poet, and Edward Baines, politician and newspaper proprietor. 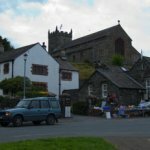 The museum is located in the pretty village of Hawkshead and makes for an interesting stopping point on your tour of the area. 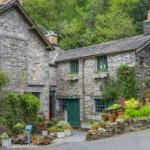 The Lake District abounds with literary history, and its beloved son William Wordsworth is revered throughout, particularly at Dove Cottage in Grasmere. 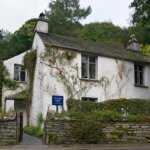 Home to Wordsworth and his sister Dorothy for a number of years, the cottage is where the great poet wrote “I wandered Lonely As A Cloud.” Today the house is attached to a museum dedicated to the lives of the Wordsworths, whilst Dove Cottage itself has been recreated as the Wordsworth family home. John Ruskin was a writer, poet, artist, and social thinker whose works in the nineteenth century were highly influential and he was once described by Tolstoy as “one of the most remarkable men.” He inspired ideas of preservation and conservationism, the basis of modern environmentalism, and at Brantwood, his former home overlooking Coniston Water, you can learn more about the man and his ideas. There are also delightful gardens to explore, regular talks and exhibitions, and a café. Blackwell is a Grade I listed building that was created at the turn of the 20th century in the style of the Arts and Crafts movement and gives visitors the opportunity to turn back the time and celebrate this unique style. The house is packed with artefacts from the period, as well as exhibitions that change regularly, a tea room, and a craft and book shop. 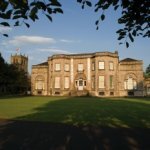 Small, but brimming with a fabulous collection of British Art, the Abbott Hall Art Gallery in Kendal is a must for aficionados of 18th and 19th century water colourists. Located on the banks of the river, visitors to gallery could enjoy a riverside picnic, and combine their tour with one of the Museum of Lakeland Life, which is housed in an adjacent building.